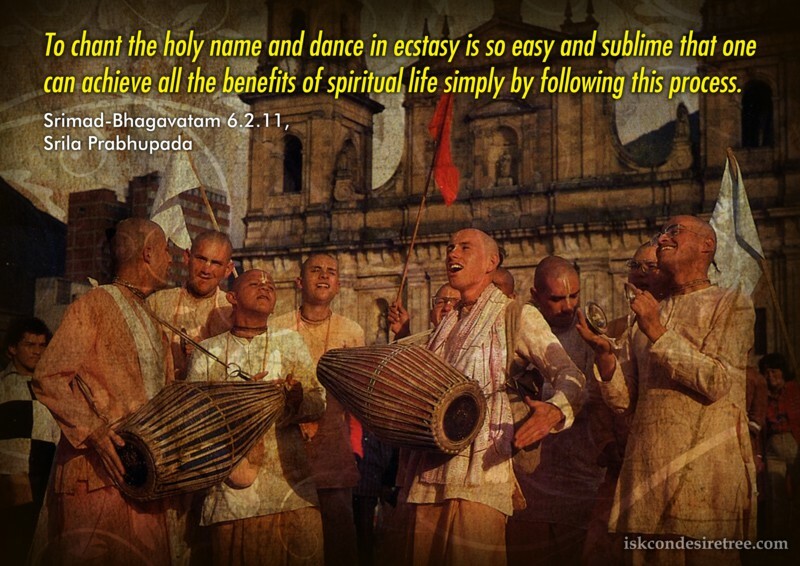 Everyone should be given a chance to take prasada and thus be induced to chant the holy names of Hare Krishna and also dance in ecstasy. By these three processes, although performed without knowledge or education, even even a dog went back to Godhead. Ecstacy means not that I enjoy but that Radha Krishna enjoy. Anyone who has developed the ecstasy of love for the Supreme Personality of Godhead and who is always merged in transcendental bliss on account of that love, cannot even perceive the material happiness or distress coming from the body or mind.